This is a short checklist to use with a group to help the group stay focused and on task. 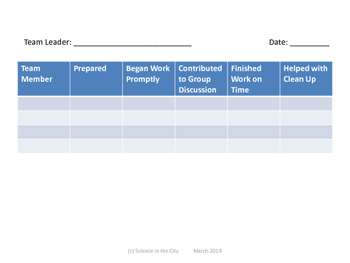 It can be used by you, but my preference is to designate a group member that will complete and turn in the checklist. Additionally, each group member can turn in, if you prefer.